Thursday evening the Philharmonia Orchestra, Resident at Southbank Centre, will be presenting one of Bartók’s best-known works, Concerto for Orchestra with conductor Esa-Pekka Salonen. 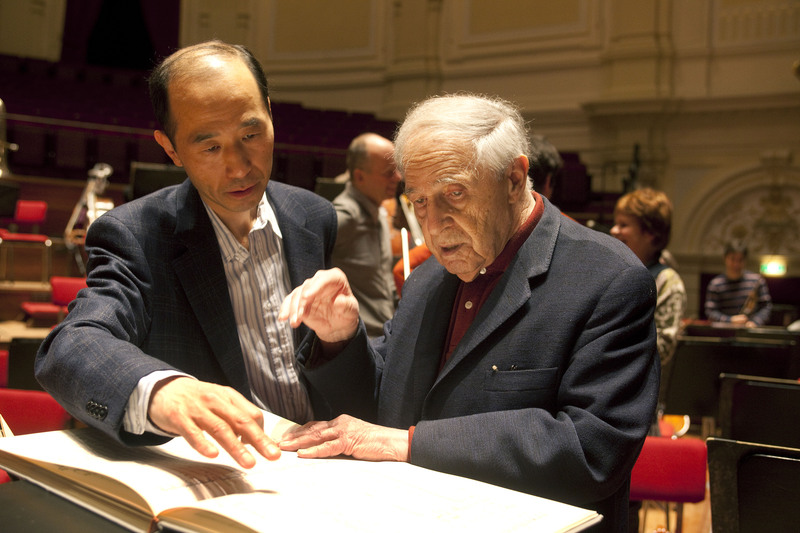 Watch Philharmonia’s video where animateur Paul Rissmann guides you through the work. Plus after the concert, hear a free performance in The Clore Ballroom by Hungarian folk group Muzsikás. Muzsikás fuse traditional Hungarian music with the classical compositions of Bartók, Kodály, Kurtág and Ligeti. Sir Simon Rattle has been associated with the Orchestra of the Age of Enlightenment almost since the foundation of the Orchestra, with his first appearance being in 1987, a year after the OAE’s first concert. Today he is one of the OAE’s three Principal Artists and in this video OAE players talk about what makes him such a special conductor to work with. 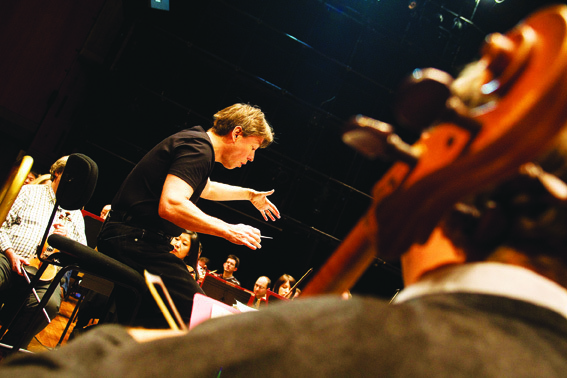 See Simon Rattle conduct the OAE at Southbank Centre’s Royal Festival Hall on Tuesday 21 June. Get tickets here. Yesterday Southbank Centre’s Shell Classic International 2010/11 season drew to a close with a star-studded performance from Daniel Barenboim, Pierre Boulez and Staatskapelle Berlin. Read the Evening Standard’s five star review of last nights concert. Read the Independent’s five star review. 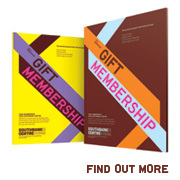 Barenboim and Boulez both return in Shell Classic International 2011/12 with major projects at Southbank Centre. In October 2011 over one weekend we celebrate the musical giant and avant-garde figurehead of Pierre Boulez with performances from Ensemble intercontemporain, London Sinfonietta, Royal Academy of Music and almost all of his piano works in one day with Pierre-Laurent Aimard and Tamara Stefanovich. 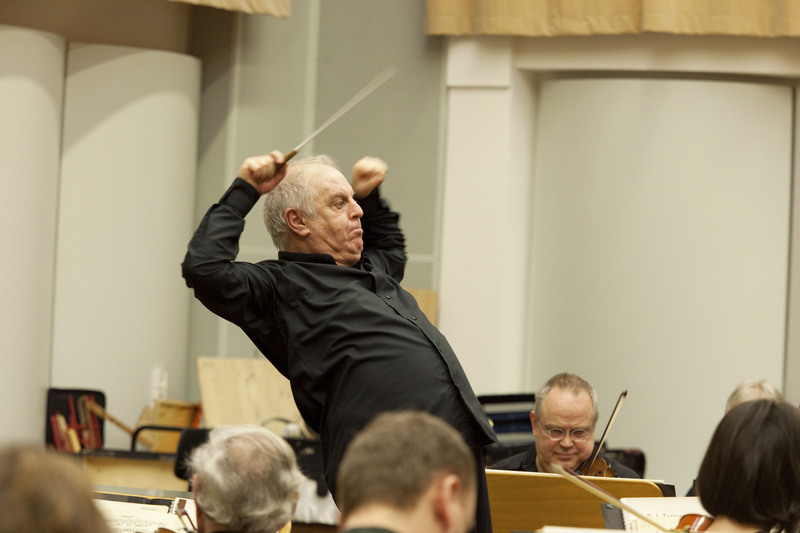 In April 2 012 Barenboim presents The Bruckner Project with Staatskapelle Berlin across three Royal Festival Hall concerts. Spira mirabilis perform as part of Shell Classic International in May 2012. 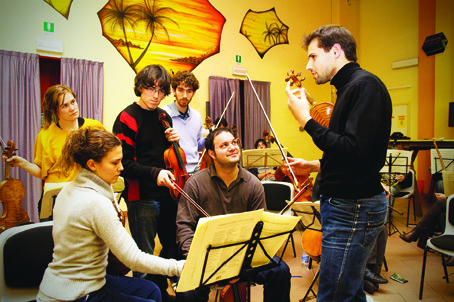 They present The Beethoven Encounter where they perform Beethoven Symphony No.5 and 6. Spira mirabilis, the extraordinary chamber orchestra, who chooses to perform without a conductor, returns to Southbank Centre following its spectacular London debut last season. LPO Interviews for Debut Sounds! Hear some interviews with the composers featuring in Debut Sounds on 8 June including Erick Flores, Mihyun Woo, Blai Soler and Emily Wright. A jam-packed May OAE podcast for you! Hear OAE leader Alison Bury talk about Handel, take a trip to Glyndebourne to talk to Principal Oboe Anthony Robson about his top CD picks, find out about what a Chief Executive of an Orchestra actually does and lastly look back on the OAE’s history with Helen Wallace.